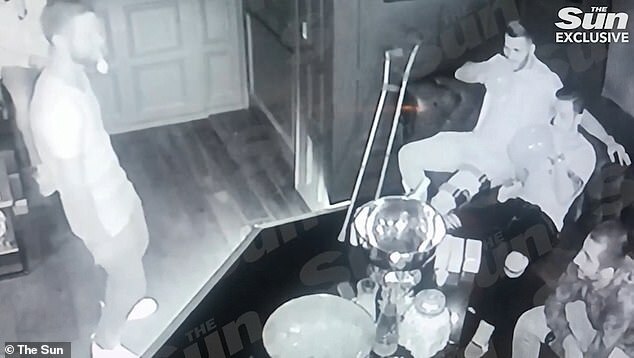 Shocking footage has emerged of Arsenal footballers passing out after inhaling 'hippy crack' at a champagne and vodka party in a London nightclub. 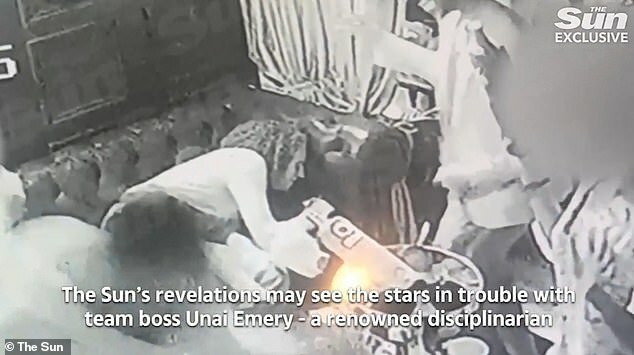 Stars Mesut Özil, 30, Alexandre Lacazette, 27, Pierre- Emerick Aubameyang, 29, Matteo Guendouzi, 19, and Sead Kolasinac, 25, can all be seen in security camera footage of the binge obtained by The Sun. 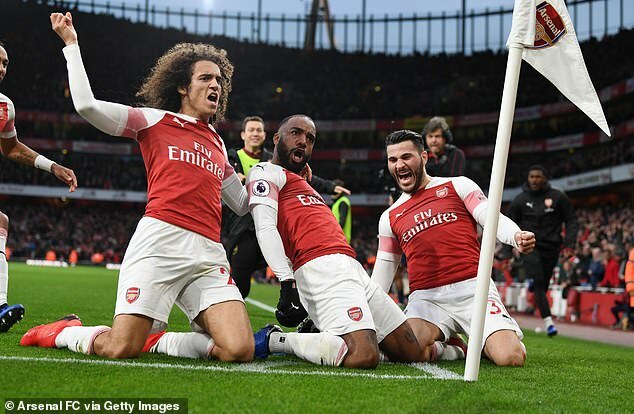 Özil and Guendouzi appear to faint with balloons in their mouths, before slumping onto the plush sofas at the exclusive Tape club in Mayfair. Others seem to be encouraging the French midfielder to inhale the gas. They then laugh as he slumps to one side. Özil appears to offer a balloon to midfielder Henrikh Mkhitaryan, 29, who declines to take it. German defender Shkodran Mustafi, 26, was also seen in the footage but did not have any nitrous oxide, which can cause suffocation and death. The wild party - to which 70 women were invited - took place just before the start of the season in August. The footballers are said to have racked up a bill of up to £30,000. Although possession of laughing gas is not illegal, English law prohibits its sale to under-18s if there is a chance they will inhale it. Users risk falling unconscious or even dying from lack of oxygen. This happens when the available oxygen for breathing is effectively pushed out by the nitrous oxide. Other footballers who have been caught inhaling the substance in previous years include Raheem Sterling, Jack Grealish and Kyle Walker. 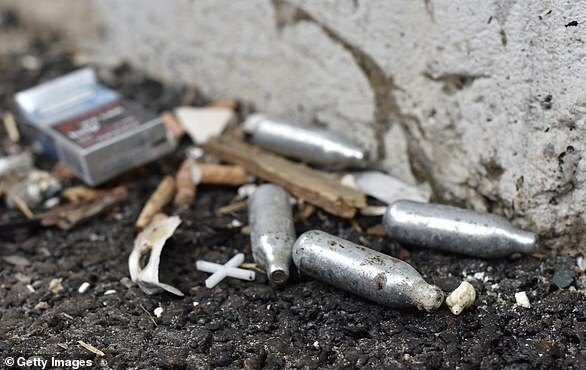 What is Nitrous Oxide and is it illegal? Nitrous Oxide, has been nicknamed 'laughing gas' due to the euphoric and relaxed feeling people who inhale it can sometimes feel. The substance - also known as 'hippy crack' - is normally bought in pressured canisters, commonly transferred to a container, e.g. a balloon, from which the gas is inhaled. • Unconsciousness or death from lack of oxygen. This occurs when the available oxygen for breathing is effectively pushed out by the nitrous oxide.